Security in the manufacturing automation environment is getting more intense as the sophistication levels of attacks continues to escalate so that is one reason why Siemens invested in a new cyber defense center in Milford, OH. To show how serious it is focusing on security, Siemens brought out some security heavy hitters Monday to help launch the new center. At the center, Siemens will provide continuous monitoring and analysis of security and system status based on real-time global intelligence. The center offers proactive threat notification, reduces the risk of production loss and equipment damage, as well as protecting intellectual property, company reputation and brand image. 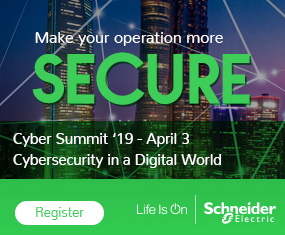 There are really two aspects to the center, one is the cyber defense center (CDC) which is more internal to Siemens, while the Cyber Security Operation Center (CSOC) focuses externally. The CSOC deals with managed and continuous cyber security services and advanced-level support services. Cyber security services include: Asset inventory management, patch management, host-based security control management, network security monitoring and platform management, perimeter protection management and incident response. In addition, the new security center fits into the long range security plan at Siemens. The idea of exposure is now coming to the forefront as more manufacturers are finally becoming aware of the issues behind not having a security program. But not to sound all gloom and doom, McConnell said there are other aspects to the security question. “We are now at a tipping point,” he said. “IT changed our lives. It gave us great benefits, but introduced vulnerabilities. It also introduced opportunities like Big Data where you can analyze the data and get to the point of predictive behavior and predictive analytics, which will be the next great frontier in the industry. Brett Wahlin, vice president and global CISO at Hewlett-Packard, agrees. Analytics is where the future lies for security and automaton, but Jagannath Rao is also living in today’s real-world environment. The goal is not to give a fix, Rao said, but to roll out a holistic security program. He gave the plant manager as a case in point. In the end, if you have zero percent security today, it is better to have 40 percent security tomorrow, he said. “That means users have to start with an assessment to understand just what they have and what they need to protect. Once you have done an assessment, you can build a security roadmap. You need to implement the technology, but you also have to include the two other legs of the three-legged security stool of people and process. Technology alone cannot solve a security issue, he said. Once you get that done, the next step is to continue shining the light for the user to see their way through the continuous security lifecycle.